抵達太原機場或高鐵站後，我社優秀導遊接後，專車送回酒店休息（免費時段：10:00至20:00每2小時安排1趟車，其他時間抵達的客人請自行前往酒店）。Arrive Taiyuan airport or railway station. Pick up and transfer to the hotel from 10:00 to 20:00. The rest day is on your own. 早餐後前往大同，參觀中國“石窟三聖”之一，與敦煌莫高窟、洛陽龍門石窟齊名的【雲岡石窟】（指定自費節目）。它始建於1500年前，依山而鑿，共有洞窟45個，石雕造像51000餘尊，有極高的藝術價值，在世界文明寶庫中佔有重要地位，被譽為“東方石窟藝術寶庫”。繼而參觀【九龍壁】，它是在我國現存最享盛譽的三座九龍壁中，建築年代最早體積最大、最富藝術魅力的一座。Yungang Grottoes. The Nine Dragons Wall. 早餐後前往山西渾源縣，參觀【懸空寺】（不登頂）（指定自費節目）。五嶽之一的北嶽恒山自古是道教聖地，主峰天峰嶺海拔2017米，陡峭的北坡遍佈莽莽蒼蒼的松樹林，南坡則有眾多的古代帝王祭祀北嶽時修建的廟宇道觀。【懸空寺】為恒山十八景之首，創建於北魏晚期，依山而建，鬼斧神工騰空欲飛，徐霞客譽為“天下巨觀”，被譽為恒山第一奇觀，距今已有1400多年的歷史，懸空寺現存殿宇、樓閣40餘間，建在恒山天險金龍峽口的懸崖峭壁上，面對天峰嶺，背依翠屏峰，上接雲端，下探深谷，大有淩空欲飛之勢。午後前往參觀四大佛教名山之首的【五臺山】（指定自費節目）。五臺山是文殊菩薩的演教道場。為顯教與密教並存的佛國聖地，素有清涼勝境的美稱，參拜五臺山代表性寺院【顯通寺】，它是中國最早的寺廟之一，也是五臺山歷史最久遠、占地最大、影響最廣的寺廟。該廟喇嘛皆為滿族，故清廷稱此廟為家廟。及後參觀【萬佛閣】，俗稱五爺廟，五臺山香火最旺盛的寺廟，您可在這裏爲親朋好友祈福祝願。 The Hanging Monastery. 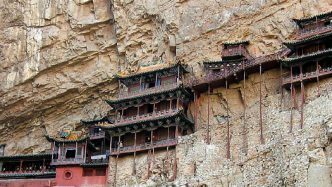 The Wutai Mountain scenic area. Then visit the Xiantong Temple and the Wanfo Pavilion. 早餐後赴世界文化遺產—【平遙古城】（指定自費節目，進出古城電瓶車）。抵達後參觀【明清街】，它是為古城文化遺產的精華之一，能夠鮮明地折射出古城文化的光彩，是平遙重要的旅遊景觀。The Pingyao ancient City (including the battery cart). Then visit the ancient Ming & Qing Dynasty Street. 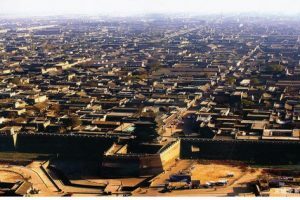 Hotel：平遙麒麟閣大飯店或同級 The Kylin Grand Hotel Pingyao or similar. 早餐後前往靈石，參觀【王家大院】（指定自費節目）。王家大院是是清代民居建築的集大成者，由靜升王氏家族經明清兩朝、曆300餘年修建而成，是一座具有漢族文化特色的建築藝術博物館。它的建築風格“貴精而不貴麗，貴新奇大雅，不貴纖巧爛漫”，把南國園林藝術和北方院落之建造恰到好處地融為一體，獨具特色。很多影視劇都取景於王家大院，如：《榆陽秋》、《刀客家族的女人》、《鐵梨花》、《呂梁英雄傳》等。晚上入住5星級古堡溫泉酒店。（今日晚餐自理） 。The Wang Family Compound. 早餐後，乘車返回太原，按指定時間送往機場或高鐵站，結束愉快行程。(免費時段：10:00/16:00二趟) Pick up and transfer to the airport or the railway station. See off. Recommended tour(not compulsory, children will be the same): USD150/PAX. Foguang Temple+ Tayuan Temple+ Bodhisattva Peak+ vegetarian meal+ Houtu Temple+ battery cart at Yungang Grottos+The situational play Encore Pingyao. Itinerary specialty: the Wutai Mountain, the Hanging Monastery, the Yungang Grottos. 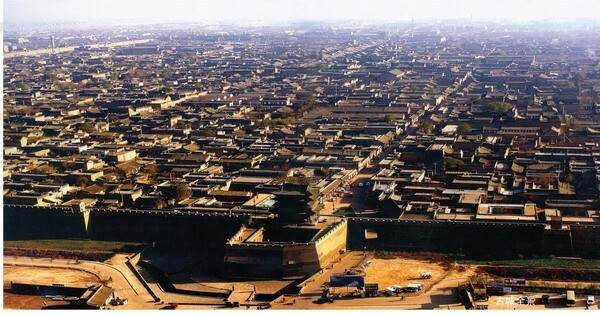 Pingyao ancient City, Wang Family Compound. 2 nights international chain Hotel, 1 night 5 star hot spring hotel and 1 night 5 star Inn.